The Commonwealth Bank and national education charity Schools Plus are proud to present the 2018 Teaching Fellows - 12 inspirational educators whose exceptional teaching and leadership skills are making a difference, especially in disadvantaged communities. 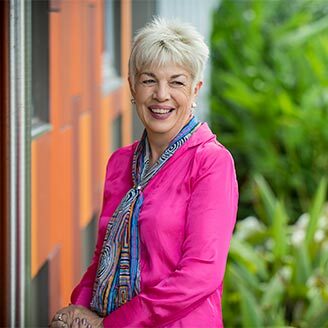 By refusing to compromise on academic standards and renewing connections to its community, Principal Lorraine Evans has turned around the fortunes of an under-performing Darwin primary school. Explicit instruction in evidence-informed English pedagogies and efficient numeracy processes, combined with an uncompromising focus on ensuring students truly understand what they are taught, has transformed Buxton Public School into a star NAPLAN performer. 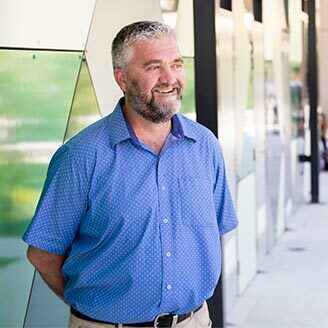 Michael Smith is improving teaching quality and consistency at a disadvantaged secondary school in outer Brisbane by boosting the support available to teachers at the beginning of their careers. 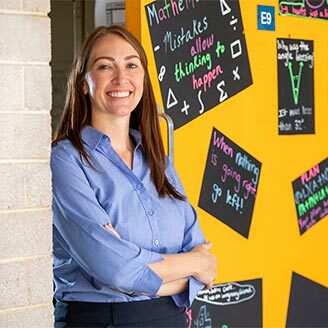 Inspired by a passion for promoting Women in STEM fields, Ashley Stewart is using STEM, problem-based learning and Spatial Training to drive improvement in mathematics at the Newton Moore Senior High School in Bunbury, WA. Too many students were dropping high-level STEM subjects at Cecil Andrews College, and STEM Coordinator John Townley was determined that should change. 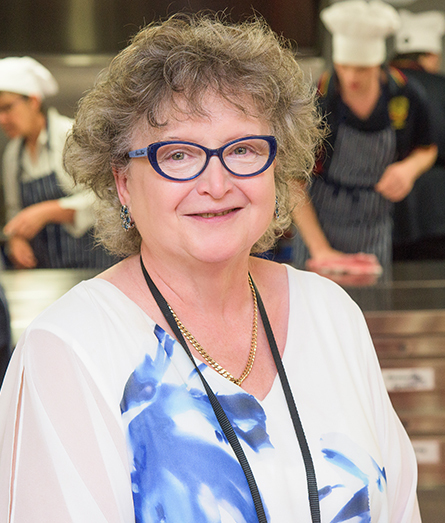 Ann Caro, Lithgow High School's first female Principal, transformed a culture of low expectations for children from disadvantaged backgrounds to one of hope and aspiration. Principal Greg McMahon overhauled the teaching approach of Melbourne's Doveton College, tailoring it to better suit the needs of the local community and expanding the curriculum to accommodate adult learning. 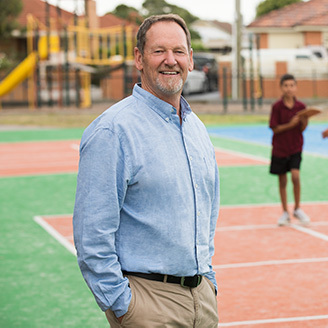 With many students disadvantaged and from non-English speaking backgrounds, Principal Paul Kenna created a 'Community Hub', hosting playgroups and maternal child health services. 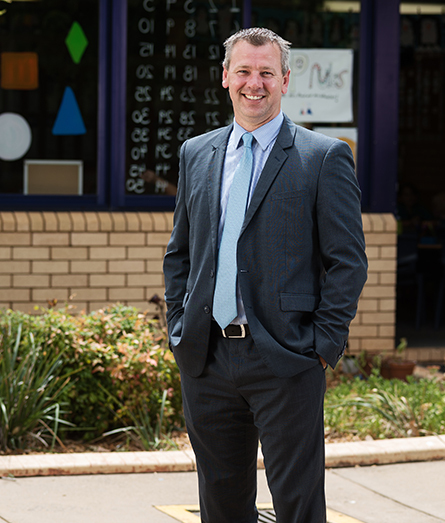 Principal of a Katherine school, John Cleary, employs a "relationships first" philosophy, and knows at least five things about each of his 405 students. Starting the school day earlier so kids are not so tired and getting rid of the bell are some of the measures John Goh has introduced at Merrylands East Public. 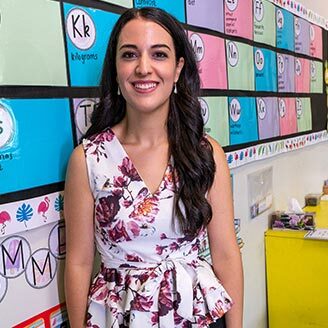 Yasodai has been recognised as an under-35 'rising star' of Australian education for her commitment to students and a leader of other teachers. 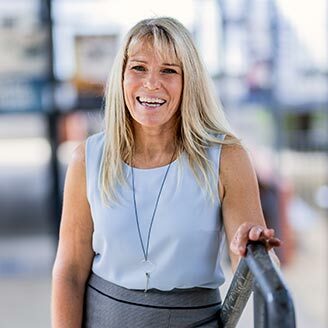 Stacey Quince has transformed the school in her six years as Principal, putting into action her passionate belief in the need to re-examine education. 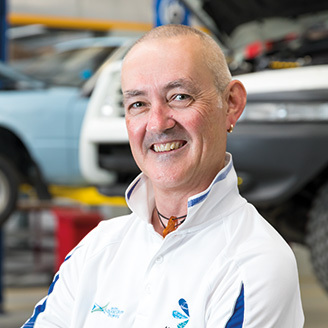 Steve developed Huonville High's Year 11 and 12 program, with the determination to ensure it would lead to jobs for students living in an area suffering from high youth unemployment. Principal Peter Gurrier-Jones has led the development of many innovative programs for students with developmental disabilities and complex learning needs. Matthew Eyle's background as a registered nurse has brought unorthodox solutions to common problems, such as how to involve disengaged students. 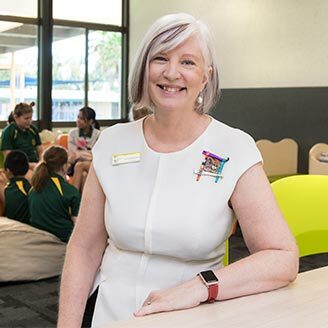 Faced with amalgamating two different secondary schools, Principal Janeen Silcock aimed to create an innovative learning place based around students and learning, rather than buildings. 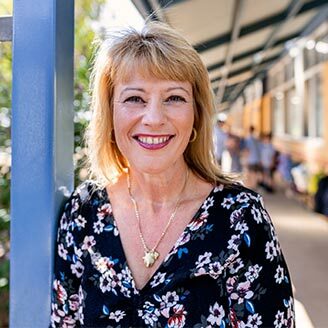 Principal Kerry White realised students were being caught up in a cycle of low expectations, based on incorrect assumptions about the local area. Kerry shifted this mindset to one of believing they were highly capable of learning. Sharyn's work helped increase the percentage of students at the school who perform at or above the minimum standard in writing from 54.2% to 96.4%. Faced with multiple challenges in his school community, Chad used 'Design Thinking' strategies to identify the root causes of the issues students were facing. The innovative programs that resulted have since been shared with schools across the country. 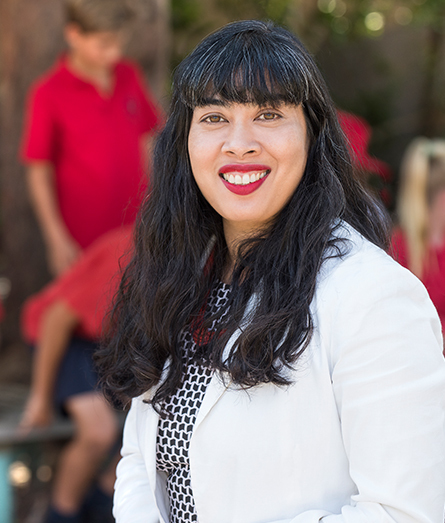 Shanti channelled over 23 years of experience to transform Beauty Point Public School into one of the highest performing schools in Australia for NAPLAN results. 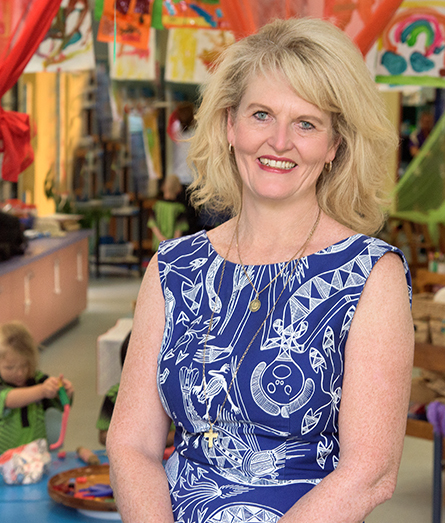 A disengaged school community and alarming NAPLAN results led Principal Leah Crockford to focus on existing strengths at the school and introduce real-life learning to dramatically improve student achievements. 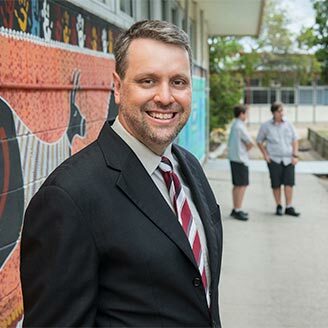 Since being appointed Principal in 2014, Michael initiated and led the establishment of programs to target disengaged students that have seen school retention from Years 7 to 12 increase by more than 25%. Challenged with high staff turnover, a transient student cohort, behavioural management issues and his own professional isolation, Charlie developed long-term strategies for students and staff to learn in different ways. 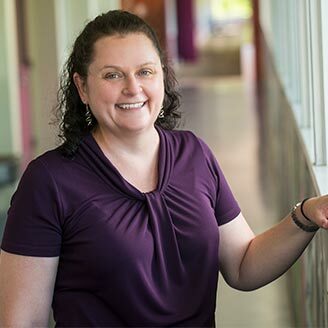 After observing that many students had limited numeracy ability, Sarah developed a numeracy committee that introduced the evidence-based practice of 'numeracy moments' - a program that enriches mathematical thinking by incorporating mathematics into real-life situations. During her time at Tabulam, Lesley has collaborated with local elders and community members to establish an outdoor learning area and Cultural Centre to support inclusive learning programs in Aboriginal Education. 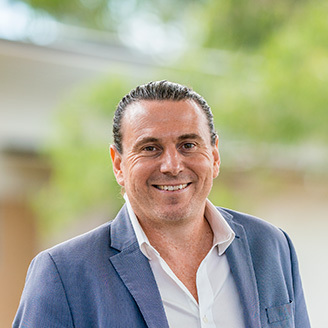 Since commencing as Principal of Calista Primary School in 2013, Craig’s passion for achieving positive outcomes for both students and staff has seen the school community transform from significantly underperforming in NAPLAN testing to achieving higher than the national average. 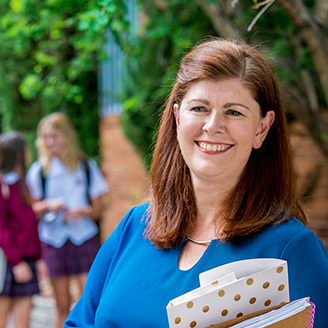 Since her appointment as Principal, Belinda has transformed the school by developing a culture where teachers are active learners - reflecting on their practice, sharing their expertise and improving their teaching - resulting in greatly improved student academic performance. 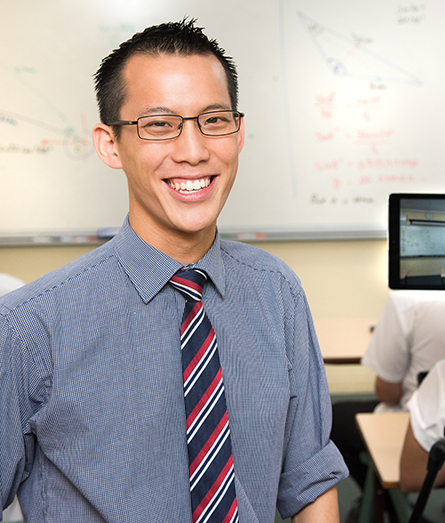 Eddie’s ‘WooTube’ videos of his maths classes are watched across the world. 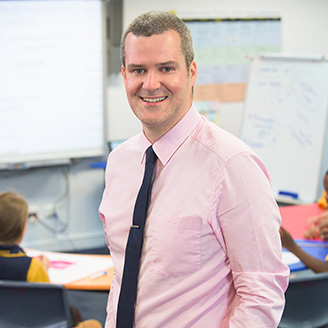 At Cherrybrook, his passion for maths and innovative teaching practices have significantly improved his students’ learning performance and transformed the subject into one of high attraction and excellence. Enter your nominee’s details and we’ll invite them to apply for an Award. You can nominate anonymously if you prefer, and you won’t be putting your nominee under any obligation. Please enter your personal message of support or encouragement here. This will be forwarded directly to your nominee. You will remain anonymous if you haven't entered your name above. Your nominee will receive an email with details on how to apply for the Commonwealth Bank Teaching Awards. To put themselves into the running for an Award, nominees must complete an online application before 27 September 2018. “I am personally committed to ensuring that all students, including those with learning difficulties or from disadvantaged backgrounds, gain access to high-quality education suited to their needs,” Jessica says. 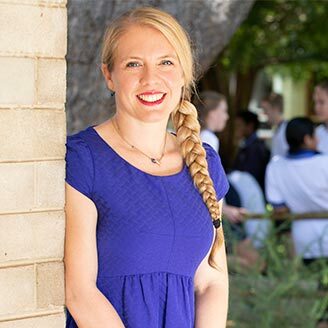 She works with feeder day care centres and the local high school to create a “golden thread” of connected education, ensuring that students at Malak Primary School – half of whom are Indigenous – can meet expected standards when they transition to the next tier of schooling. Students are rewarded for being able to articulate their own learning goals, and achievements are heading upwards: years 3 to 5 are exceeding national numeracy gains standards and the number of students assessed as educationally vulnerable is falling. Parents and teachers are warmly supportive. Murramarang Elders judge students’ preparation of Indigenous-influenced foods, town GPs review student research on vaccines, farmers help students understand pest control, and students self-publish their novels. More than 600 people typically attend Learning Expos when students present their work. 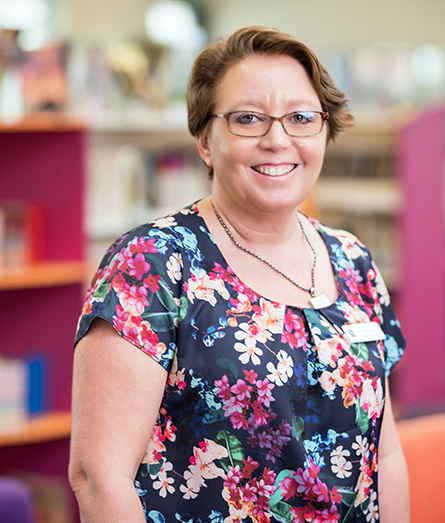 Denise’s approach has reenergised Ulladulla, with a significant increase in high-range HSC scores and university offers. An increased proportion of Taylors Lakes students are scoring in the top two NAPLAN bands, as teachers’ growing confidence with individualised learning lifts all students. With a focus on building literacy and numeracy skills, staff program around young people’s interests and aspirations, teaching flexibly across multi-age groups. An essential part of every day is “circle up”, where all young people and staff - including the cook, cleaners and administrators – come together to share hopes and concerns and figure out how to structure the next learning projects. 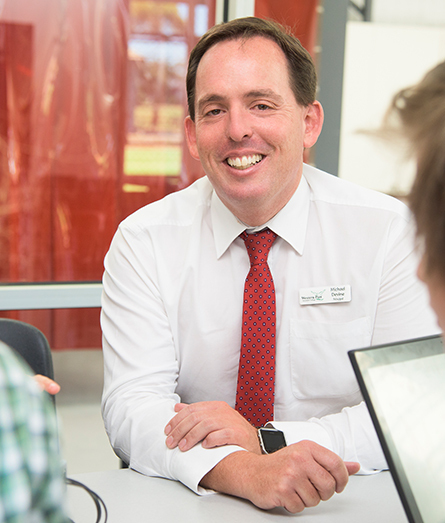 By offering development, mentoring and networking opportunities, and ensuring constructive feedback on their classroom performance, the Deputy Principal is attracting and retaining outstanding first-year teachers to Marsden State High School and building a professional community with strong ties to the Logan area. All 55 new teachers who have joined Marsden since 2014 have remained in the profession. Michael is extending the approach to Marsden’s own students – who are guaranteed a practicum place at their old school if they study education after Year 12 – and to experienced teachers aspiring to higher accreditation. Through links with four Queensland universities, he is also taking the Mentoring Beginning Teachers model to regional and rural high schools. The Maths Department Head was concerned about the low NAPLAN results of Indigenous students, particularly girls, and she chose spatial training – developing understanding of three-dimensional shapes and movement – as a more practical entry into a subject many found discouraging. Her instinct proved correct. Along with vastly improved classroom engagement, NAPLAN scores have edged ahead of like schools. Especially pleasing for Mrs Stewart, are the fewer limited achievement grades from 2017 to 2018. He created a vibrant robotics program at his school, with a network of 12 other schools all now running Robotics Clubs and competing in FIRST Robotics’ competitions. His network includes Tjuntjuntjara Remote Community School in the Great Victoria Desert. The inter-school partnership between the remote and city schools is based on inclusion of Aboriginal cultural perspectives in STEM learning. He saw that culture was central to Indigenous young people’s learning, and he thought about how to harness it. The result: Two-Way STEAM, which integrates Noongar culture and language with hands-on engineering. The first project is construction of remote-controlled racing cars. Co-taught by Elders, students learn about components, develop software skills, and build a track that embodies the six seasons recognised by Noongar people. What began as a lunchtime activity is now timetabled and making such an impact that John is actively working with other schools to enhance their capacity in STEM teaching. When Ann Caro became the first female Principal of Lithgow High School four years ago, the area’s economic decline after a decade of job losses through mine and factory closures had affected the aspirations of students. 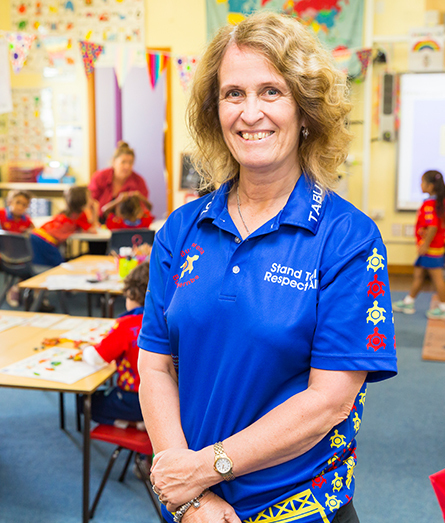 Ann, with a track record of lifting students’ performance over her two decades as a teacher, devised a plan to transform a culture of low expectations for children from disadvantaged backgrounds to a positive culture of hope and aspiration. It worked. The majority of students were from low socio-economic backgrounds and the reforms gave them hope and support. Suspensions for poor behaviour have dropped 40 per cent. Higher School Certificate and NAPLAN results have improved dramatically and Lithgow is now a school which maximises student potential. Doveton College in one of Melbourne’s most disadvantaged areas is unique in Australia – the product of a merger of five schools, jointly funded by the state government and the philanthropic Colman Foundation. When Greg McMahon became Principal three years ago, attendance levels and academic results were low. Drawing on international research, Greg overhauled the school’s approach to teaching and learning. He tailored it to the many students from families that had experienced trauma as refugees or suffered poverty over generations, and expanded the school’s reach from birth to adult learning. School results, student wellbeing and family engagement have significantly improved. Doveton’s Early Learning Centre is one of only seven in Victoria to have achieved an “excellent” rating and the college has become a thriving community hub for hundreds of locals, from babies to adults. Paul Kenna, Principal of a small primary school in Melbourne, calls it ‘desperation-inspired inspiration’ that led him to implement key strategies which have proven crucial to his students’ progress. With students facing a range of disadvantage and many from non-English speaking backgrounds, Paul tackled student readiness and family engagement. He created an on-site ‘Community Hub’ hosting playgroups, kindergarten and maternal child health services. He led innovative classroom based action research to develop and refine a new teaching strategy - Self Organised Learning Environments (S.O.L.E.) - based on igniting student curiosity, connecting emotions to learning and transferring responsibility and learning autonomy from teacher to student. The change has been significant. Student engagement is high and NAPLAN results over the past four years show the school is now well above growth measures for similar student cohorts. John Cleary, who was born into a teaching family in England, felt he had done a good job with his students as a primary school teacher in East London - until he arrived in Australia and worked in Arnhem Land. 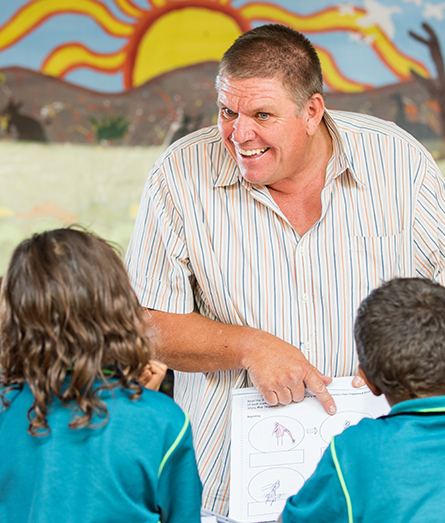 In his first week at Ngukurr, an alarming number of Aboriginal students stopped coming to class. So he changed his teaching style and focussed more on what children and their families said they needed. Attendance improved. 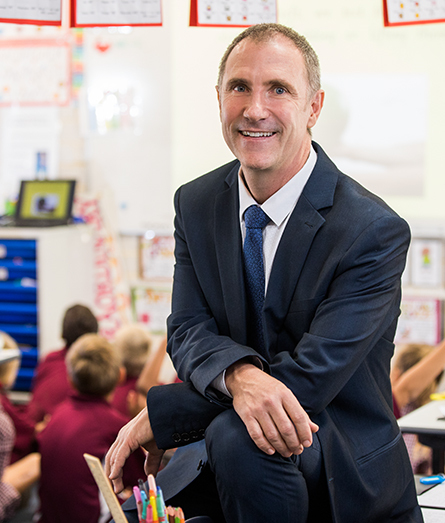 Now, as Principal of a primary school in Katherine, John takes learning cues from the students themselves and it has paid off, with one of the nation’s best NAPLAN-measured improvements between Years 3 and 5 in reading, writing and numeracy. His philosophy is “relationships first.” He knows at least five things about each of his 405 students and just about everyone in town knows him. Starting the school day earlier so kids are not so tired and getting rid of the bell are some of the measures John Goh has introduced at Merrylands East Public. A focus on literacy, numeracy and digital learning combined with a collaborative approach has helped it to exceed the average NSW growth for literacy and numeracy. 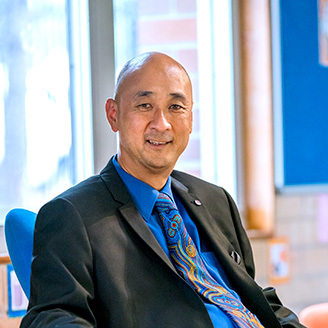 Starting the school day earlier so kids are not so tired, knocking down classroom walls and getting rid of the bell are some of the radical measures John Goh has introduced since becoming Principal of a south western Sydney primary school 13 years ago. Merrylands East Public was once unremarkable, but a focus on literacy, numeracy and digital learning combined with opening up the school to collaborate with everyone - from families to global tech companies - has made it a model for successful transformation. Its literacy and numeracy results have improved dramatically and now regularly exceed the average growth in NSW, while strong community partnerships have been forged. As an inventive and resourceful leader, John has a large social media following and has given a TEDxSydneySalon talk about the use of technology in education. 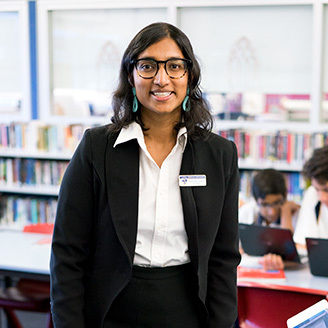 Yasodai Selvakumaran has been recognised as an under-35 ‘rising star’ of Australian education by The Educator magazine for her commitment to her students and as a leader of other teachers. 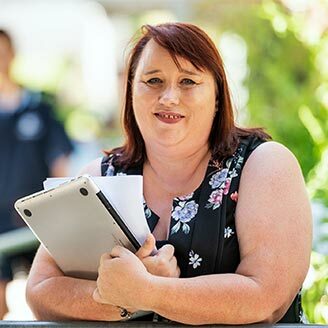 A specialist in History and Society and Culture, her redesign of the Society and Culture course contributed to doubled enrolments in her school with students achieving above state average results over successive years. Yasodai is recognised for her expertise in mentoring and collaborating for innovation. Her implementation of Rooty Hill High School’s Creative Inquiry Cycle was featured by the Australian Learning Lecture series in 2017. When she was 10 months old, her Tamil parents migrated to Australia from the war in Sri Lanka and raised her in rural and regional Australia. Yasodai’s experiences drive her philosophy of education to create opportunities that help teachers and students be the best they can be. 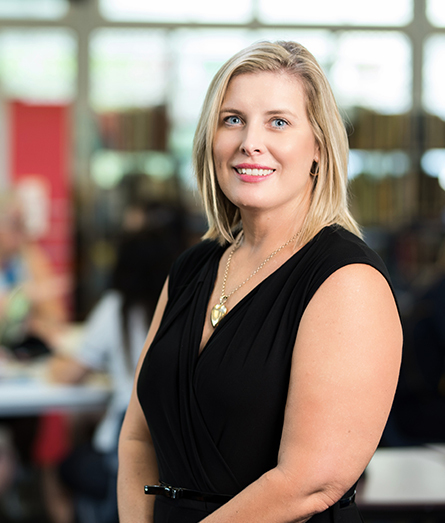 Stacey Quince has transformed an outer Sydney secondary school in her six years as Principal, putting into action her passionate belief in the need to re-examine education. 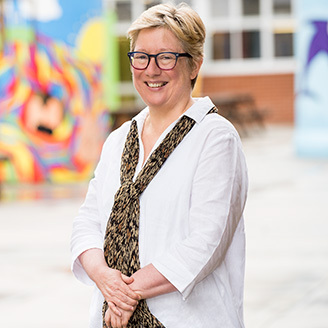 At Campbelltown Performing Arts High, she drew on staff and university academics to help shake up the school’s culture, with “action learning teams” of six to eight teachers finding new ways to improve student learning. She teamed with global technology companies and the London-based education thinktank Innovation Unit to help the 1100 students think globally and act locally. The results are impressive – more students now complete the Higher School Certificate and go on to tertiary studies, often the first in their families. Year 9 NAPLAN results are the highest in four years and Aboriginal students have significantly outperformed their NSW Indigenous peers in statistically similar schools, also defying national trends by outperforming non-Aboriginal students. When aquaculture teacher Steve Harrison was given the task of developing Huonville High’s Year 11 and 12 program, he was determined to ensure this would lead to jobs for students living in this area of high youth unemployment. Working with the salmon industry, Steve has successfully established vocational training which has led to more than 30 jobs in aquaculture alone. Previously, Huonville students could only study up to Year 10 and had to travel 50km to Hobart to complete their education and vocational training. Many chose to quit school. Last year, 95 enrolled in the senior years. Peter Gurrier-Jones has led the development of many innovative programs and practices in his school for special needs students. The ‘Communication Passport’ is one such innovation he has developed with his staff, which is making a real and measurable difference to students’ learning success. Using a seven-colour key and framework, the Passport gives teachers, families and students a clear picture of individual student’s skills and abilities and shows their progress measured against curriculum requirements. 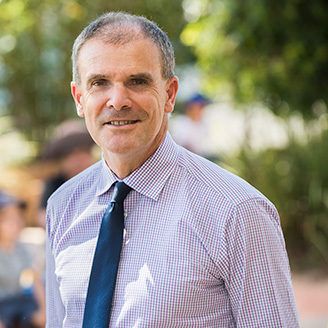 Peter has been Principal for five years at The Hills School in Sydney, which caters for 113 students with developmental disabilities and complex learning needs from Kindergarten to Year 12. Four in five students cannot express themselves verbally but all “have incredible and unique abilities to contribute to their community,” he believes. Matthew Eyles has an unusual background which leads to unorthodox solutions to age-old problems, such as the conundrum of how to involve disengaged students in classroom life. 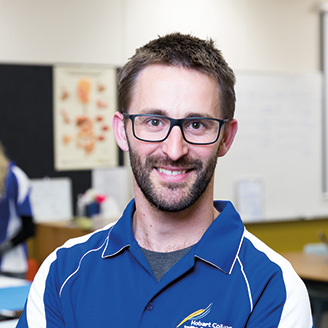 Both science teacher and registered nurse, Matthew developed an introduction to nursing course to his Hobart secondary school two years ago, setting up a simulated five-bed hospital space in the classroom and an interactive website to guide learning. Students are exposed to real-world experiences, including through regular visits by local aged care residents. With constant support from the nursing students, the residents paint with art students, get pampered by hairdressing students and watch concerts by music students. The course, with three pathways ranging from a taste of nursing to attainment of a Certificate III, has been a game-changer. Student enrolments have more than doubled in three years and graduates have found health sector jobs or gone on to tertiary health courses. 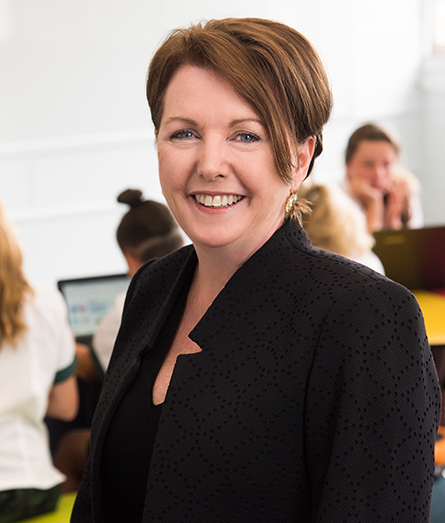 Faced with amalgamating two very different secondary schools on the NSW North Coast, Janeen Silcock brought the deadline forward two years to focus on creating a new innovative place of learning. "I've worked to ensure the design of the new school is about students and learning and not about a building. I want a school where students can colour inside and outside the lines," she says. Janeen has created a new culture in which staff collaborate purposefully and the school takes an innovative approach, under which both students and teachers have their own coaches and learning is individually tracked. Now, suspensions are declining and attendance is up. 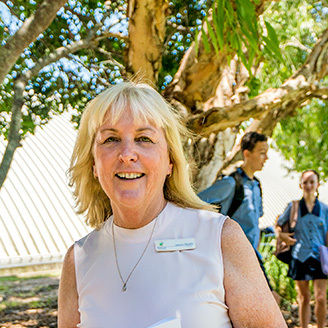 Janeen has worked closely with architects, teachers and the community to plan the “no walls, no halls” campus onto which Ballina Coast High School – with its redesigned curriculum - will move in 2019. 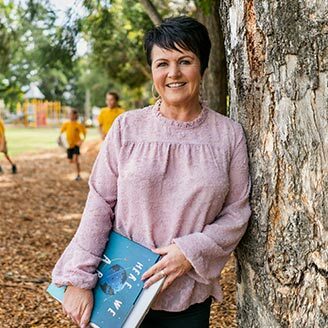 Primary school Principal Kerry White realised that students were being caught in a net of low expectations based on false assumptions about people who lived in northern Adelaide. Kerry drew on research and training courses to work with teachers, staff and families on shifting the mindset that students could not do better, to one of believing that they were highly capable of learning. This switch to “positive education” paid off. Students are now performing 13 per cent above the state average for learning engagement and the Australian Curriculum, Assessment and Reporting Authority has commended the school for its exemplary NAPLAN results. In the application, you wrote about how you’ve been transforming outcomes for your students. Tell us what you’ve been doing, and what the results have been. Our focus at Shailer Park has been transforming our big 4: reading, writing, attendance and Senior School outcomes. We are delivering on these through a strategy we have developed: the RED-P agenda - Reading to Learn, Explicit Direct Instruction, Data Informed Practice and Positive Behaviour for Learning. Since arriving at Shailer Park in 2015, our NAPLAN results have skyrocketed with a dedicated focus on this approach. How has becoming a Teaching Fellow benefited you? Becoming a Teaching Fellow has benefited me through the networks it has opened and the mentoring relationships it has created for me. Learning from and hearing about the great work that the other Fellows are doing has increased my educational knowledge and confirmed that the work I am doing is on the right track. What has been the response of your students, school and community to you being named a Commonwealth Bank Teaching Awards Fellow? The Teaching Awards have been the catalyst for bringing together some high-performing and motivated educators, business people, universities and the Logan Council to develop the ‘Promise Project’ with the aim of benefiting students in the Logan area. What is the program you’re implementing at your school as a result of the Award? The ‘Promise Project’ team will travel to the US to investigate the Harlem Children’s Zone ‘cradle to college’ pipeline that has created a scalable and sustainable education initiative that now serves over 12,500 students and has achieved 96% of its students going onto college from a very low SES community in New York. The aim of the project is to create a sustainable and scalable plan to increase the number of students in the Logan area progressing to further education. What has been the highlight of becoming a Teaching Fellow? Without doubt the highlight has been the education trip to Singapore. This was an amazing experience for a range of reasons - being able to see a high-performing system; having the time and opportunity to reflect on this as a group to identify the how and what that is happening that is contributing to Singapore’s education success; having time to reflect on and plan my own leadership of my project at my school; being able to reflect and plan on how to make a bigger impact across Queensland and Australia; and working with staff from Schools Plus, the Commonwealth Bank and Learning First to share stories and compare opinions on a vast array of educational initiatives. In your application, you wrote about how you’ve been transforming outcomes for your students. Tell us what you’ve been doing, and what the results have been. After being appointed to The Canobolas Rural Technology High School in 2013, I identified a high level of student disengagement. Analysis of school data indicated students arriving in Year 7 had extremely low levels of competence in literacy and numeracy, attendance across the school was low, suspension rates high and external results were well below state average. To address this, I led a team employing “Design Thinking” strategies to identify the root causes of the issues around engagement and to develop a staged strategic plan to change the culture of learning at the school. The initiatives were all aimed at providing engagement in learning with the flow-on effect of improved attendance and behaviour. The Fellowship has allowed me to connect with other outstanding educators to create the vision of making a difference to educational outcomes for the communities we serve. It has provided the opportunity to leverage each other and the stakeholders associated with the Fellowship to build a profile of outstanding educational leadership across the country. The combined knowledge, passion and dedication to the greater cause serves as a constant reminder about how privileged a role I have in NSW education. How have your school and your students benefited from your Award? We have had great interest from across the country in the initiatives we have developed and have been invited to speak at a number of conferences as a result of the publicity. Our students are the ultimate beneficiaries, as staff continue to strive for excellence in all that we do. Students see the value of high expectations, a personalised learning pathway and the commitment by our team that every child can learn something everyday and that we need to grow the learning of our students at least one year for every year we teach them. Working with like-minded professionals who want the same outcomes as I do is the greatest sense of accomplishment that I have had in my 20 years in the NSW Department of Education. What advice would you give any teachers or school leaders thinking about applying this year? We have been afforded an opportunity in life to work with the next generation of leaders. We never do what we do for accolades or public acknowledgement. I feel so humbled, privileged and grateful for being given the chance to make a difference to not only my community but to millions of children across the country. I would encourage every outstanding educator who has a vision for change, improvement, innovation and success for our students to take a couple of hours and nominate yourself. The professional development you will receive and the difference you will make to communities across the country will remain with you forever. Why did you apply for a Commonwealth Bank Teaching Award? I applied for the Award to help contribute to innovative, future-focused projects at our school. I wanted to find a way where our school could meaningfully prepare children to thrive lifelong – not just in the schooling system. It can be hard to write an application at times. However, this experience enabled me to look back at my leadership and the school’s journey over the past 8 years. I was very proud to be able to show the growth of our school – both academically and with our wellbeing programs. To be able to take a small school and grow the capacity of our staff and students so that we were listed in the top 300 Australian schools for growth in NAPLAN was extraordinary. The highlight for me is about working together with a like-minded group of amazing educators and leaders. To be able to create a project that can support other Australian educators and to help inform the national landscape is an incredible opportunity. Also, the opportunity to support my school’s ongoing transformation journey inspires me each day. I feel very honoured and privileged to be an inaugural Teaching Fellow. I hope that collectively the Fellowship will continue to support the future of education across Australia, and be positive role models to future fellows. How do you see the Teaching Fellows working together to influence teaching in Australia? Together we can contribute to the national landscape. I believe we can play an important role in providing a practitioner-led and growth mindset approach to education. Have a go and dream big for your schools. Explore the learning journey of your school – as well as the evidence-based practice – to help describe the narrative (‘story’) of your community’s learning journey. I was nominated by a colleague. I was honoured and saw this as an opportunity to celebrate our achievements with the school community. As a leader, the greatest focus was on the learning experiences for children being real, rich and relevant through a relentless focus on culture and climate of the community – particularly the staff having high expectations, deep empathy and a shared moral purpose for the students. Being a Teaching Fellow has reinvigorated me as a leader as well as an instructional coach in classrooms. It has given me professional connections that I believe will enable building the profession across our country as well as within the jurisdiction that I work. I believe that the school has been given more than funding for a project, but the students have been given the gifts of courage and inspiration to step out and take risks that they may not have done without the broader support and acknowledgment of the Australian education community. For me, I am focused on continuous improvement bound in the foundations of building a shared story and moral purpose that supports improving student outcomes and building better communities. Absolutely go for it. Ensure you have the evidence to back your story and your school community’s improvement trajectories. The Fellowship has opened doors that I couldn’t have imagined and hope it continues to do so, as we embark on building a strong network of educational leaders that are making a difference. I was inspired by the Teaching Awards and Schools Plus wanting to acknowledge and celebrate the work of teachers and educational leaders and I got a sense of the passion and commitment towards that outcome. Broadly it has been about turning the school around from going backwards and highly underperforming to progressing and moving forward. The key areas of transformation have been around providing multiple pathways for students to remain engaged in education, stay at school and complete Year 12; and improving the learning outcomes – what we are doing with students whilst they are at school. This work has been achieved through restructuring the leadership team, professional development of staff, a revamped professional review process and the development of differentiated and engaging teaching and learning programs. This has led to significant school-wide improvement in learning growth and achievement outcomes. It has been incredibly stimulating and professionally rewarding to be a Teaching Fellow. I feel that it has opened up a level of recognition and celebration of the work we do that just has not been prevalent in Australia before. The learning has been really profound not just from the masterclasses, workshops and the study tour, but in particular, the learning from the other Fellows and their experiences. It is hard to pinpoint one thing. The Awards Event and the experience in Sydney was great and Singapore was amazing both as a collegiate and professional learning experience. I think overall though the opportunity to work with, learn from and collaborate with such a diverse and amazing group of talented educators facilitated by Schools Plus has been the highlight. Don’t underestimate just how amazing and rewarding this experience is. Don’t be put off by writing the application – it’s not that onerous! My advice would be to give careful consideration about what types of data and evidence you can provide to demonstrate the transformation you are achieving in learning experiences and outcomes at your schools. I applied because I received a nomination and because it would recognise the effort our school community and remote schools make for indigenous children. It also provided the chance to access further funding for our school to develop our two-way learning project and the opportunity to engage in high quality professional learning with an amazing group of educators. It has provided me with motivation and extended learning that are having a positive impact on my work. The opportunity to learn with such a diverse talented group of educators, to experience the professional trips to Singapore and Sydney, and the informal discussions have been significant, especially considering the remote context I live and work in. It has been informative, clarifying, challenging, enjoyable, of a high standard and has given me the motivation and confidence to step out and engage with others and share our knowledge and initiatives. I have completed interviews for education magazines, journals and newspapers that have provided a medium to share the good story of our work and remote schools across the nation. Based on the significance and strength of the Award, I am presenting at the National Aboriginal Education Conference with two Community members and at the Society for the Provision of Education in Rural Australia Conference with Notre Dame University. I have been instrumental in establishing and facilitating a “Collegiate” Principals’ forum encompassing remote schools covering an area bigger than Victoria. The Award has increased my confidence to step out and have an influence. The school community has benefited from the recognition that good things happen in spinifex country. It has enabled the implementation of our “Two-Way Science” project as an extension of our on-Country Learning program that brings local knowledge and culture into school learning, supporting the science, numeracy, literacy, history, and other curriculum areas. This is significant for the wellbeing of children and the community in a very demanding cross-cultural context where intergenerational trauma is evident. It is strengthening the school and the school community. The highlight has been the shared learning opportunities and the encouragement and expectation to keep up the effort and make a difference. Step up and complete the application. Let people know what you are doing. I know there are many wonderful educators across our nation. Be one that will take on the challenge and share your work with others. Initially, after I saw the Award information I discarded it - thinking I was too busy and not competitive. It was after two colleagues approached me and said I should apply that I read further. I looked at the questions and was quite excited by the reflective nature of them and thought “why not?”. I found the process incredibly reflective. Life in schools is so very busy, so to take the time to create a narrative of my journey and highlight my achievements was wonderful. I think the questions matched my thought processes. The online application process was easy enough. A great benefit is meeting and being inspired by the other Fellows. Being immersed and sharing narratives and ideas is amazing. The trip to Singapore has enabled deep learning and reflection with the Fellows. The alignment of the Singapore system has shown me what is possible. I am going to continue to advocate for every student through inspiring teachers and leaders. The award in my school has given me a new challenge and motivation to drive further improvement in maths. I am implementing a program to improve the consistency and effectiveness of pedagogy in maths. I am working with a lead teacher in maths to develop small professional learning communities where teachers are reflecting on their instruction and thinking deeply about how to target their teaching for specific students. The aim is to focus on the teachers to support students to develop their capability in maths. My advice is “have a go!” I found the application process provided a great platform to reflect and it also provided some internal motivation. I figured, even if I didn’t get to the next stage I have already gained from the experience. If you have a story to tell, then tell it in the application process. Don’t get too bogged down by the sub-questions – you know what you have done and what has worked – this is your story. It has been inspirational and thought provoking with the promise of building a deep conversation around educational culture in Australia. The Fellowship award has motivated me to continue to explore innovative solutions to providing equity and excellence in education for all students. The $10,000 Professional Learning award will be a great asset for my own leadership development and increase my capacity to support others in their own professional journey. Our school has benefitted from the recognition that we are doing something well and that a small, isolated, rural school can be successful in this arena. The award has improved the profile of the school in the local and wider community, something which is valued by all stakeholders. The $30,000 received will enhance student opportunity to develop a meaningful project about their culture. 'Learning for the future through Wahlabul culture' will be implemented for students to develop student agency and self-motivation through sharing cultural knowledge with a global audience.Students will be supported to create innovative learning spaces to facilitate project-based learning around the production of high-quality resources reflecting Wahlubal cultural knowledge and understanding. The valuing of cultural knowledge in an education setting will help students to build literacy and numeracy skills through real-world, authentic project development. The highlight has been meeting the other Fellows and engaging in stimulating, professional dialogue about education; what it means and where it needs to go to positively develop our community. The visit to Singapore was invaluable in building relationships with the group and examining a high-performing education system to see how things can be done differently and where we could aspire to go as a country for the education of our children. Highlighting what works for students will be the main driver of the Teaching Fellows and demonstrating this through the sharing of our own projects will be critical. It has enabled me to work closely with researchers at Deakin University on the development of multiple research ideas and projects into the use of advanced technology to enhance the experience and learning outcomes of students in the Disability Unit of Murray Bridge High School, as well as Year 12 students in the mainstream school. It has enabled me to obtain further grants for a zSpace learning laboratory, allowing students to touch and manipulate objects within a virtual environment, thereby generating a greater awareness, exposure and understanding of them. The Award adds additional status to the work undertaken by the Disability Unit. It highlights the pioneering research into the use of advanced technology, including Robots, Virtual Reality & Augmented Reality, in the application of novel teaching and learning practices and has placed the Disability Unit of Murray Bridge High School at the forefront of digital learning practices in Australia. The project involves working with the CSIRO to investigate and evaluate the educational and therapeutic benefits of Socially Assistive Robots for students with intellectual disabilities. The introduction of an IVE provides a flexible, supportive learning environment that stimulates empathy and communication, as well as further developing spatial awareness, dexterity and an increased awareness of physical and social safety. Sharing the experiences of other Fellows, and feeling empowered and supported to stretch the learning continuum to shape a realistic 21st century pedagogy that meets the individual needs of disadvantaged students and enables students with intellectual disabilities and Autism to become more productive citizens. As a collective group of educational experts and risk takers, the Teaching Fellows are able to formulate and integrate their operational principles, perspectives, knowledge and purpose to embrace challenge and innovation at regional, state, national and global levels. They are an important resource, a catalyst for policy and pedagogical transformation as they cross boundaries to seek new knowledge and operational frameworks. Having a very clear priority of what is important for my students and putting in place evidence-based practices to support the priority. At Calista Primary School far too many students were not achieving benchmark in literacy and numeracy. Using evidence-based practice in Explicit Teaching and bringing all staff on board, we have been able to lift improvement so that almost all students from the stable cohort achieve benchmark or better. Through the Fellowship I have gained a huge amount of knowledge about best practice in education. Through the master classes, study tour and networking I have learned a lot about what works and best ways to implement new ideas. This will enable me to support Calista Primary School to continue to improve outcomes for students. With the financial support for our school project, I have implemented an improved process for peer observation, coaching and feedback. This will lead to improved teacher efficacy, collaboration and confidence, and improved student learning and performance as a result. All of it! Being recognised at the presentation ceremony in the presence of successful and highly respected members of the Australian community, meeting and sharing with the other Fellows and being part of the study tour to Singapore where I was able to see a high-performing system in action. I would encourage any teacher or leader who feels they are making a difference within their school to apply. The self-reflection process in applying is a benefit in itself. Successful applicants get the opportunity to grow in so many ways and to be a part of something much bigger on a national stage. The process did take time but was not difficult, particularly when you are sharing your students’ achievements and those of your staff. It provided the opportunity to share your vision of what you hope to achieve for students, to dream big, to articulate “if I had the chance this is what I would do”. It is not often you have the freedom to do this, generally applications for funds are ‘tied’ to a particular program or initiative. We embarked on a very specific, strategic program to lift the aspirations of our HSC students. The program has explicitly supported, mentored and tracked our students leading to improved HSC results and vastly increased numbers of students transitioning to university. An integral aspect of the program has been the engagement of parents providing them with the language and understanding to partner with the school in supporting their child achieve their potential. Personally, it has been very humbling but professionally it has been invigorating; to learn from and be inspired by an outstanding group of educators who have embarked on a journey of school improvement, improving learning outcomes for students in creative and innovative ways. The awards ceremony at the Maritime Museum was surreal and it was wonderful meeting and speaking with so many of the pioneers who were extraordinarily generous with their time. However, the week in Singapore was amazing at both a professional and personal level. The calendar of events arranged for us was exceptional but the opportunity to really get to know and bond with the other Fellows was priceless. That we represent nearly every state or territory and have all achieved significant success for students within the structures of our respective departments is a wonderful platform to begin the national conversation. To collectively share our respective success in improving student learning outcomes showcasing innovation and creativity in approach. Back yourself, share your success and dream big. The primary practical reason is that I was nominated! I was keen to gain resources for my school and I also wanted mathematics educators to be represented on a national platform as an example of teaching excellence. I’ve continued creating learning resources for students and teachers on Wootube, and the reach of the channel has only accelerated over the past few months. The primary goal and effect of making these lessons available online has nothing to do with videos or technology, but everything to do with shifting learning culture to be autonomous and self-directed. Broadly speaking, the response has been overwhelmingly positive. 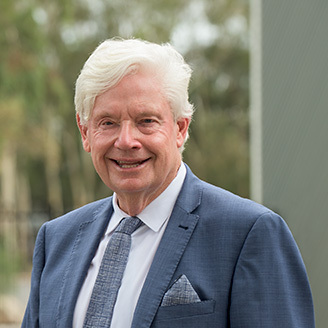 The Fellowship is a wonderful emblem for the way in which Australian society is learning to value its educators, and the majority of students, teachers at my school and community members (such as parents and other educators I know through professional associations and university networks) have relayed to me that they feel tremendously proud of my achievements. The highlight of becoming a Fellow has been the opportunity to engage with experienced and insightful school leaders and others in the education sphere. My conversations with them, and the way in which they have helped me to engage with and process the experience of Singapore, have challenged me in the way that I think about my role within Australian and global education. While the study tour to Singapore was an incredibly memorable experience, it is my ongoing relationships with these thought leaders that will make a long-term difference in the trajectory of my life and career for the next 20-30 years. My advice is: prepare to be challenged. Becoming a Fellow will push you to understand yourself and your role within education in a way that you likely never have before, and for many this will be an intensely uncomfortable experience. But we as educators need to take that step regardless of whether we feel personally inclined to do so. That’s because teachers need a national voice driven by those with firm values and convictions, a willingness to fundamentally question and innovate within the system we inhabit, and the skill to transform learning into practice in their unique context.